The Red Dead Online Beta is now officially open to everyone with a copy of Red Dead Redemption 2. Choose to make your mark as either a gunslinger or an outlaw. Join or form posses, battle enemy gangs, hunt, fish and search for treasure, challenge other settlers and much more in this brand new multiplayer story. Character Creation: Use the character creator’s in-depth tools to detail your character’s appearance and facial features. To further adjust a number of facial features, tap X/A to enter the Customize section and use the sliders to fine-tune your character. You can also click R3/Right-Stick to quickly see your character’s face without facial hair, and tap L1/LB and R1/RB to quickly check your character’s profile. While you can always make changes to your character’s hair, facial hair, makeup and dentistry at the local Barber or clothing from your Wardrobe or shops, your permanent features like your nose, eyes, mouth and freckles will not change after you finish creating your character. If you’d like at any point to start anew with a different character, you can delete your current character and create a new one by going to the PLAYER section of the pause menu and holding down Square/X; please keep in mind that this will delete your existing character and progression. Player Menu: Tap d-pad left to bring up the Player Menu. From here you can find many practical tools and features: see other players in the session and your friends, form or join a Posse, manage your Camp and horses, quickly join matches or series, adjust your voice chat options – select Everyone to chat with everyone in your proximity, or isolate your chat to your Posse, Friends or Crew only – and much more. Fast Travel: Visit Fast Travel signposts to quickly travel to where your Posse or friends are located and various other locations around the map, or return to your camp for a flat fee. A Land of Opportunities: Visit Horley in Blackwater to start A Land of Opportunities, a cooperative series of story-based missions that can push your honor high or low based on your decisions. 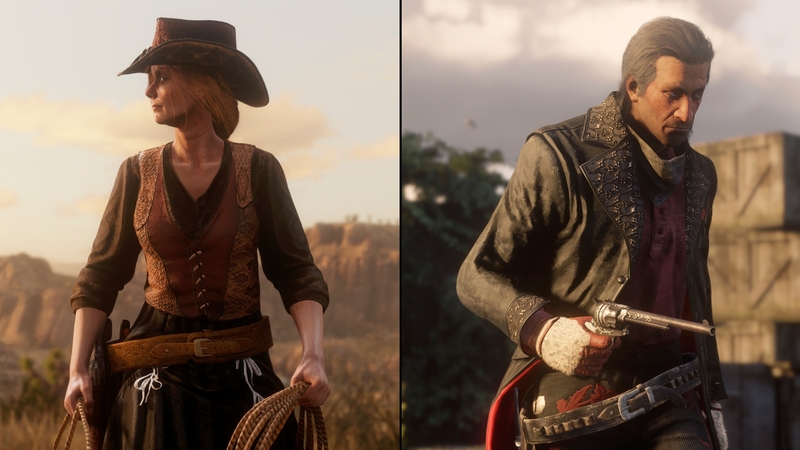 You’ll get to know some new characters in Red Dead Online, fight alongside fellow outlaws and earn a pretty penny along the way. If you made all positive honor decisions throughout and want to see how the storyline changes and push your honor in the other direction, you can replay making all negative honor decisions (and vice versa), all while receiving further payout and experience. Treasure Maps: When you hit Rank 10 you’ll receive a Treasure Map, uncover the treasure for Gold and Cash. You’ll receive Treasure Maps for every 5 ranks after that. There’s also a chance you’ll uncover a Treasure Map when looting enemy bodies after clearing a Hideout or surviving an Ambush. Catalogue: Hold down left on the d-pad to bring up the Catalogue and pick up provisions, tonics, weapons, ammo and more while on the go. 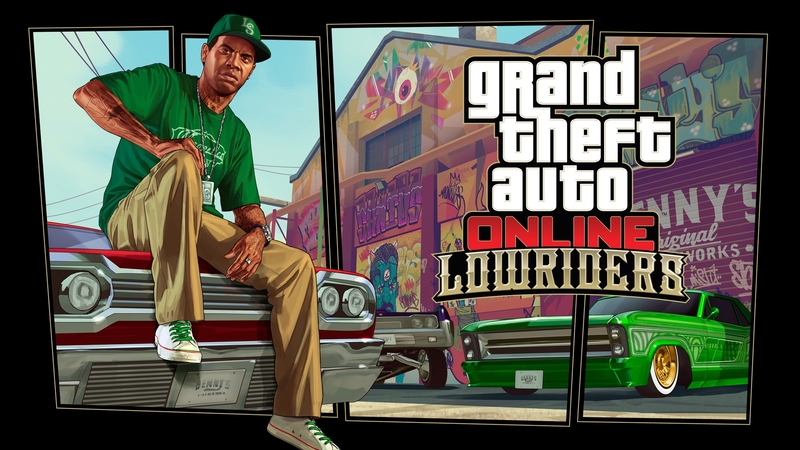 Alternatively, when not in-game, purchases can be made via the web Catalogue on Social Club. Once purchased, you can recover most of your goods from your Camp’s lockbox or the Post Office, new weapons can be found on your horse and clothing will be added to your Wardrobe. Any horses or saddles will go to the Stable. Ability Cards: Utilize different Ability Card categories (combat, recovery and defense) to help you survive the frontier. You can upgrade Ability Cards through 3 tiers of benefits and you can adjust them at any time to suit any scenario: use combat cards for attacking missions where you’ll rely on your weapons, or switch to defensive cards when escorting a wagon. Look for lots more updates to the Red Dead Online Beta in the coming weeks and months.